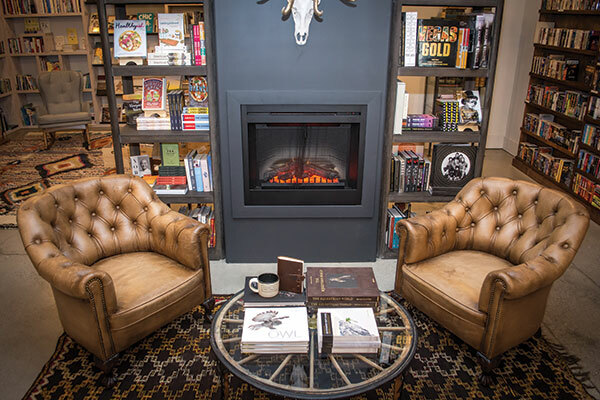 At Jackson Hole Book Trader, tables with artfully arranged toms showcase new and classic collections, while shelves line the walls with used, contemporary, and rare titles. In the far end of the store, a cozy and inviting circular nook welcomes young readers to climb in and snuggle up with a good book. Meanwhile, adults lift the pages of massive “sumo” volumes, published by Taschen, featuring large-format photography. A small vinyl record collection, curated by owner Susie Temple’s husband, Rob Feagin, invites audiophiles to indulge. This is the vision Temple had in mind when she purchased the bookstore from Cynthia Parker and her daughter, Allison, in 2017. 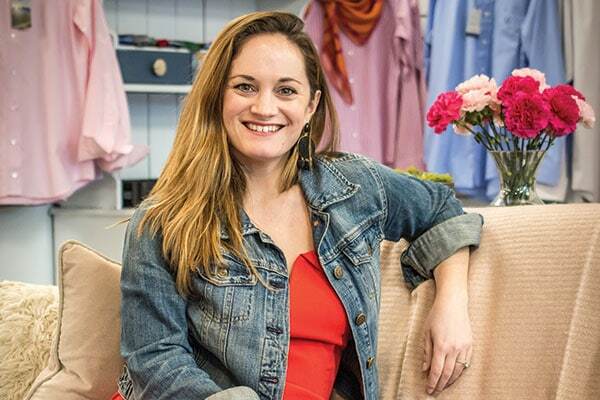 When Temple acquired the shop, she knew she was ready to transform it. To figure out just what she wanted, she traveled to New York City and Marfa, Texas, spending time exploring other book shops for ideas. “From the minute I bought it, I knew I had to make it mine,” she says. Designer Jen Langston helped make this dream a reality just in time for the bookstore’s 20th anniversary this year. Store manager Brook Redwine, who has worked at the store for 17 years, has been by Temple’s side through the whole process, along with her friendly shop dog, Louie, who is a St. Bernard and Australian Shepherd mix. In addition to a physical transformation of the bookstore, Temple worked with Cristine Wehner and Christy Smirl on other aspects like branding, developing a new logo, creating an online and social media presence, and even small touches like creating bookmarks for people to take home. A lifelong lover of books, Temple studied English both during her undergraduate studies at Duke University and in graduate school at the University of Texas at Austin. She later enrolled in a publishing program at Rice University. Her mom, Ellen Temple, inspired her love of writing and reading during her childhood in Diboll, Texas. "I really believe the answer to every single question is in a book somewhere." As a child, Temple often visited Jackson with a friend’s family, spending summers riding horses and exploring Colter Bay. 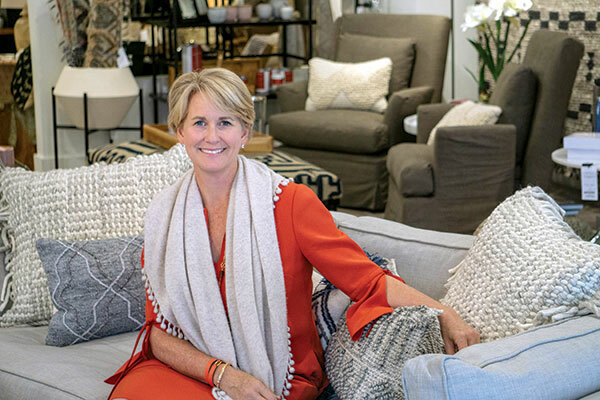 When she moved to Jackson in 1998, she began working for the shop’s founder and then-owner Dean Stayner. For years, Temple focused on raising her three children: Lilly, 16; Walter, 14; and Helen, 7; but as the kids grew, she was ready to focus on her dream. She considered opening a new bookstore but soon learned Parker was planning on selling the shop, so she purchased it last year. 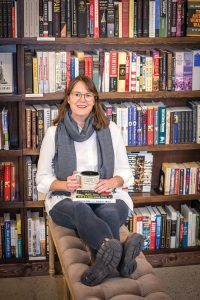 She loves to match people with stories, and is hosting author book signings and other events, creating a local literary hub. But at the end of the day, Temple simply believes in books. “I really believe the answer to every single question is in a book somewhere,” she says.